Stunning Porsche Cars for Kids! 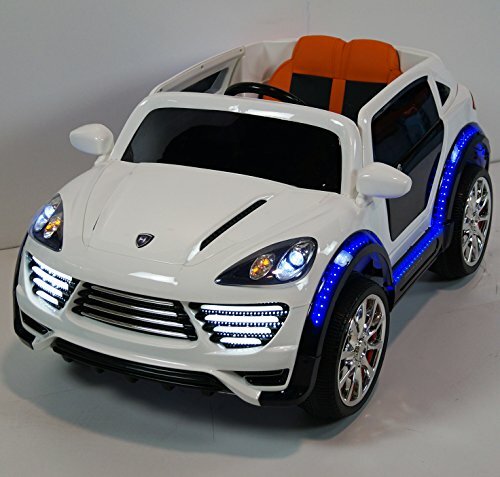 Stunning Electric Porsche Cars for Kids! I am so excited to show you the coolest Porsche cars for kids! Buckle up everyone and here we go!! 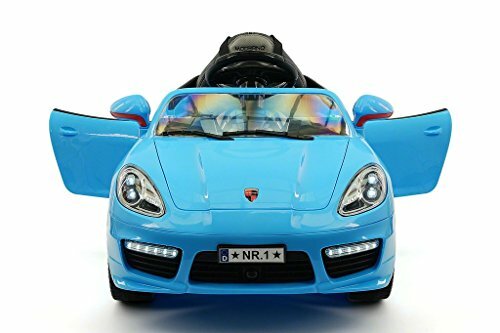 First up is this stunning and very fancy looking turquoise color Porsche style battery powered electric car for toddlers and children up to 5 years old! It also has a very cool black interior and dashboard! This child Porsche looks gorgeous from all angles and will definitely turn heads when you and your little one go for his first ‘test drive’ around the block! Gorgeous SILVER Porsche for Kids! Another beauty is coming up! This is a beyond gorgeous silver Porsche car for kids to drive! The metallic silver color is the final touch in making this child size Porsche look truly like his classy ‘adult’ version! 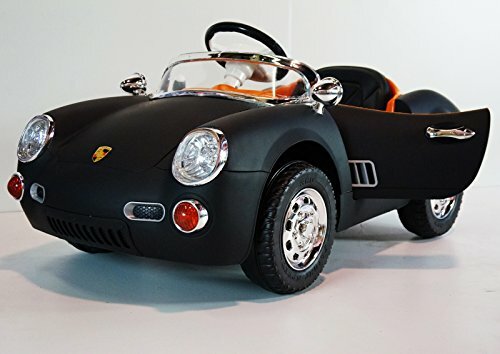 Fancy Black Porsche Roadster Style for Kids! 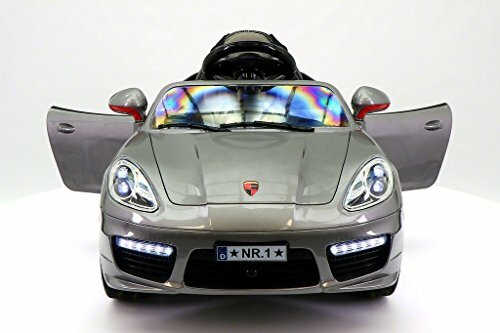 This is my favorite Porsche car for kids from this page! It’s a stunning and very fancy looking black Porsche roadster style ride-on child car! It is a head turner! 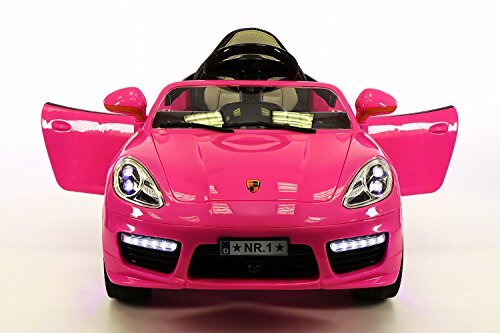 Cute PINK Porsche Boxster Style Car for Toddler Girls! I just found a cute PINK Porsche car for toddler girls to drive! This adorable Porsche style pink electric car fits little girls as young as 2 years old! This beauty also has cool rear and front lights which is always a huge hit for the kids! They absolutely LOVE turning the lights on and off over and over again! 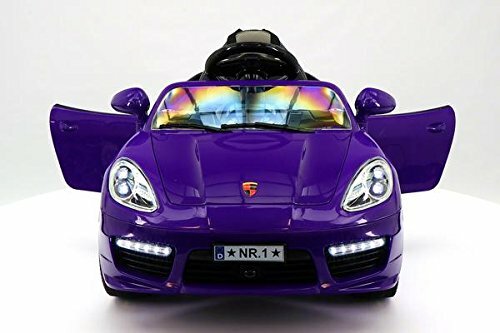 It’s time for the kids to drive a very cool and very PURPLE Porsche car! It has two speeds, 2 mph and 4 mph, remote control for the parents and a leather seat! How about this Cool RED Porsche 911 GT3 Style Car for Kids? 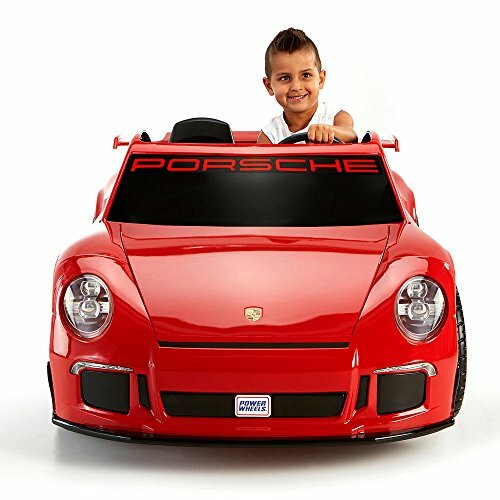 I couldn’t resist also showing you this awesome red Porsche style ride-on car for kids ages 2, 3 and 4 years old! It has two motors and two speeds, the max speed being around 5 mph. The seat is nice and soft and this cute car also makes steering sounds! 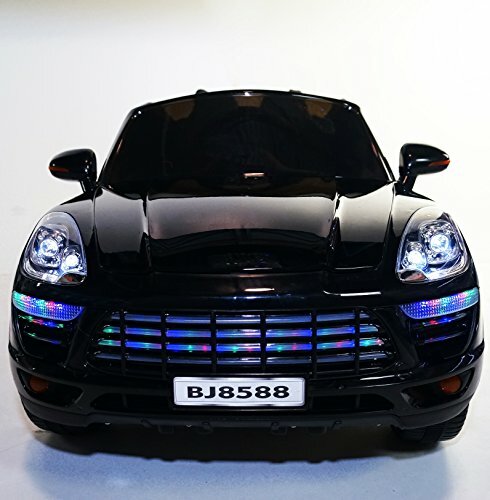 This black Porsche Cayenne style ride-on toy car for kids is very spacious and very cool looking inside and out and will fit children from around 2 years old up to 5 or 6 years old! It also has the remote control function for the parents and the coolest LED lights! I just had to show you this white Porsche Cayenne style car for kids too! The blue LED lights look amazing! It also has turning lights, so you you can teach kids to always give a signal when they are about to turn left or right! Your toddler’s very first ‘driving’ lesson! Amazing Ferrari Ride on Cars for Kids! Gorgeous Lamborghini Ride on Cars!